Amsterdam IJmuiden Offshore Ports, your entrance to a wealth of suppliers, maritime, logistics, sites, heliport, airport and seaports for clever solutions in offshore wind. For installation and O&M of the new Hollandse Kust wind farms, including electrical infrastructure, the North Sea Canal area offers everything you need at the shortest nautical distance. Amsterdam IJmuiden Offshore Ports (AYOP) is a network of flexible partners with enormous experience and expertise. We are your first port of call for flexible suppliers, first-class logistics, and the best heliport, airport and seaport facilities. 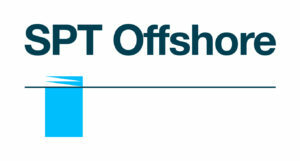 When it comes to smart solutions for offshore wind, AYOP has the answer. The first three Dutch offshore wind farms have been installed using our port region as well as near shore wind farm Westermeerwind. Operation and maintenance for the offshore is all three based in our area. Other facilities are a unique cable handling hub, catering to all major operators and cable producers. AYOP’s major objective is to provide promotional support to the regional offshore industries and to promote the area’s unique facilities. Our partners not only includes many oil-and-gas, offshore wind and portrelated and maritime industries, but local government bodies as well.